The Library may seem like hub of all exam activity on campus, but there are a variety of other study facilities and support hubs student can fall back on during the exam period. To that effect, the University have created a simple one-stop shop web site detailing all the study support and learning facilities available right now on campus, ranging from study spaces and computer labs to personal support should things start to get on top of you. On Wednesday 9th March Loughborough’s Student Union will bring you the annual University Mental Health and Wellbeing Day. From 11am to 4pm there will be a flurry of activities, interactive stalls and experiences for everyone to enjoy and participate in. 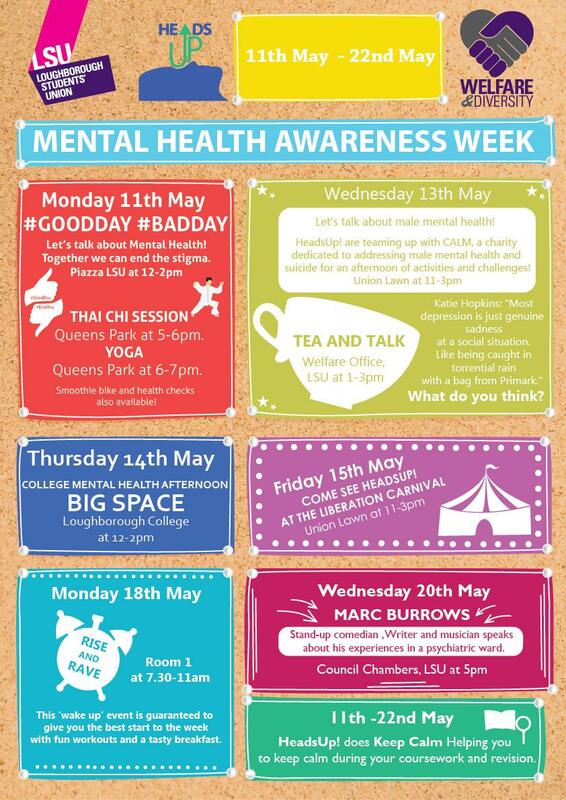 Head down to the Piazza and Room One this Wednesday between 11am and 4pm to pick up your free ‘Heads Together’ goodie bag and support mental health. The theme of the day Heads Together strives to promote a unified approach in all of our attitudes towards mental health. The free flowing atmosphere and flexible agenda of the day should enable people to make the most of the day. In attendance will be representatives from local support services such as the Charnwood Mental Health Network, the Mental Health Association Heads Up as well as the Disability Support Network and other various University Support Teams. 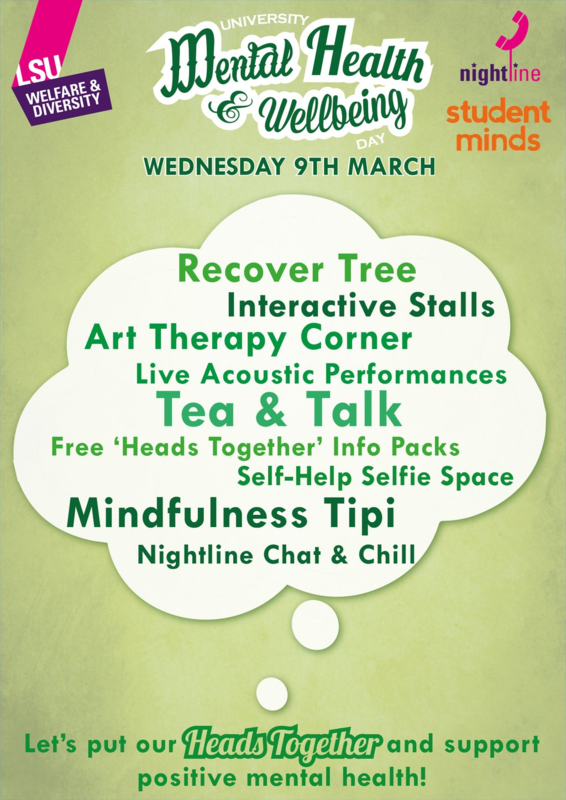 Events throughout the day include a Mindfulness Tipi in Room One, Recovery Tree, Art Therapy Corner, live acoustic performances, spoken word, Nightline Chat and Chill to promote their new instant messaging service as well as a Self Help Selfie station, so go down and take a self help selfie and see your selfie be collage on the Self Help Selfie collage. We’ll be running a Library stall down at the Union too, between 11am-3pm, extolling the virtues of our mood-boosting and leisure reading ranges and asking you to ‘leave a leaf’ on our very own library tree by telling us what your favourite book is. The University have compiled a helpful web page detailing all the resources available to students during the January exam period, covering the availability of study spaces and computer labs across campus (no, the Library isn’t the only place to study!) 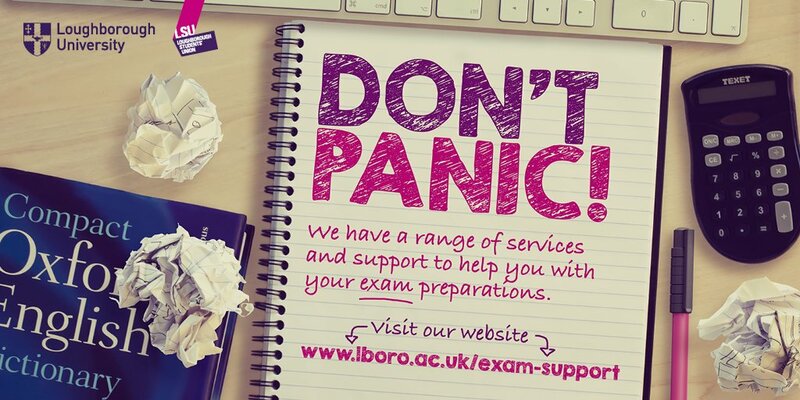 along with details and links to the many and various other means of academic and personal support you can receive from the University at this busy and stressful time. The Student Union is participating in a local initiative to raise awareness of mental health this week – particularly relevant at this busy time of year for students! 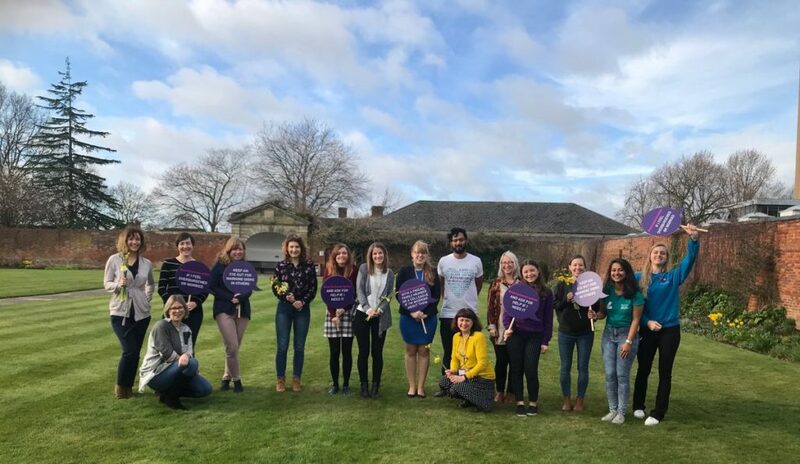 The Charnwood Mental Health network, which is made up of organisations from across Charnwood, is supporting the campaign to encourage people to take time out of their daily routines to relax and help improve their wellbeing. The activities will take place from Monday, May 11th to Friday, May 15th. The full timetable of events is displayed above. Activities will be filled on a first-come, first-serve basis. Don’t forget that the Library has a wide variety of different resources to help you cope with the stresses and strains of academic life, including an extensive range of self-help reading among our Mood Boosting and Books on Prescription range on the shelves of our Leisure Reading section up on Level 4. As this week is Depression Awareness Week, and with the start of term and the exam season looming, we thought it was a good time to remind you of some of the ways we can help you through this potentially fraught time of the year. We’ve prepared a range of useful study modules on Learn under the banner of Learning Central Online, ten units on a variety of topics which will help take the stress out of your work by enabling you to further enhance your information literacy and study skills and hopefully your degree classification. The skills you learn here can be used both in your studies and when you go out to work. We also offer a handy Stress help sheet, with helpful tips on how to minimise stress, which is free to download, and we stock an extensive range of self-help reading among the Mood Boosting and Books on Prescription range among our Leisure Reading section up on Level 4. 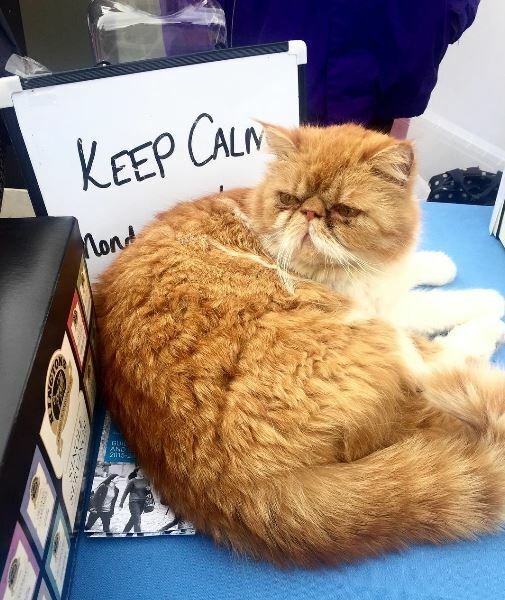 And if you’re getting stressed about finding information for your coursework, don’t panic – ask your Academic Librarian! Not only are they specialists in the knowledge areas for your particular Schools, they’re also very friendly and just love being asked questions! 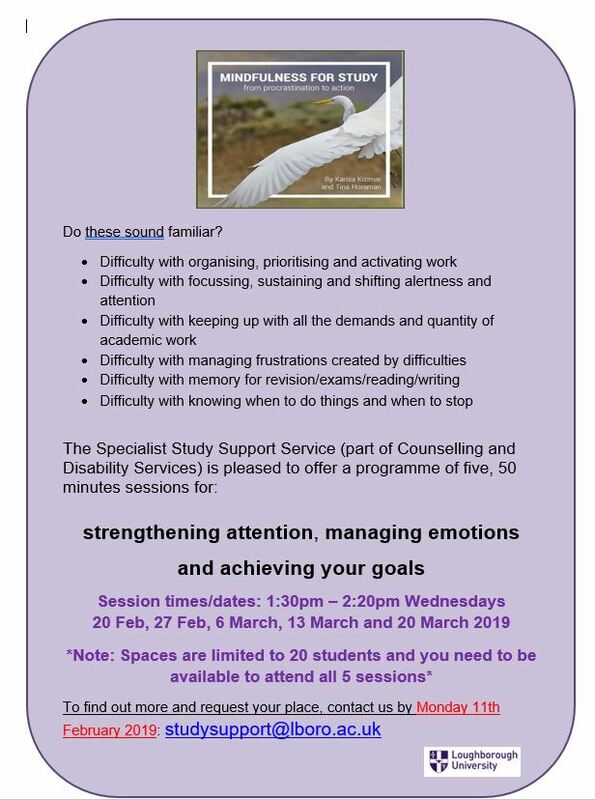 The University also provides specialist help with the mental rigours of academic life courtesy of the University Counselling Service, which offers a broad range of services ranging from one-to-one meetings with their experienced staff of fully trained counsellors, to online self-help resources and workshops tackling a variety of issues and topics including homesickness and meditation. 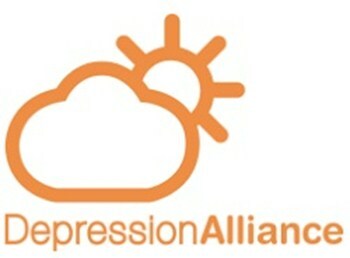 Depression Awareness Week is organised annually by the charity Depression Alliance, who have a wide range of helpful advice on their website here.